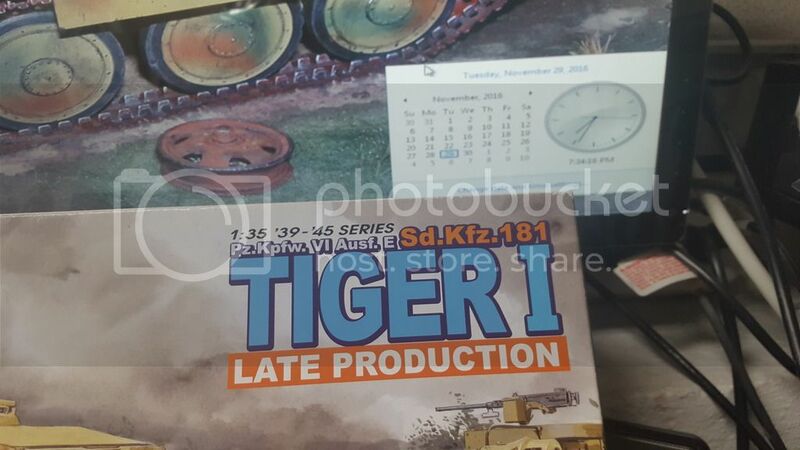 Just want to check before I begin to build but does the F6F Hellcat qualify for this campaign?? Starter picture. 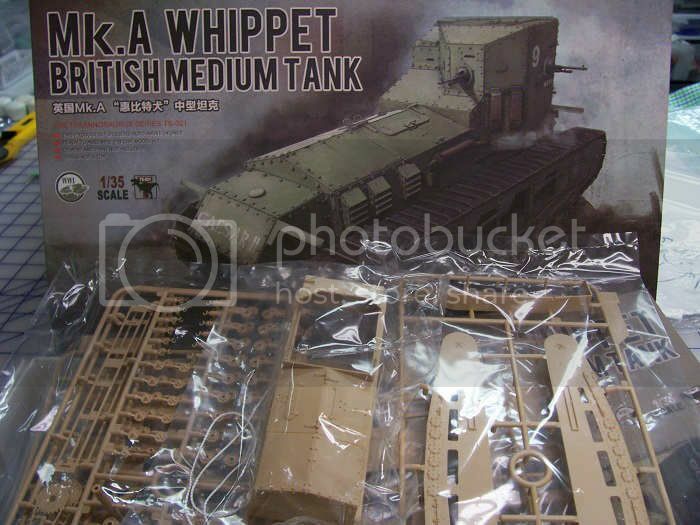 I'll be doing Meng's Whippit Mk A Tank...it's the MG version. A whippit is a dog, related to the greyhound. I should be getting started this weekend. Well, it's not a dog. Hoping to get it started by the end of the month. I started painting my F-111 just haven't had the opportunity to upload pictures. All entrants look good. Since I started this I better find a suitable choice for this campaign. Probably an aircraft and not named after a canine either. Nice choices so far fellas !! Hi fellas! 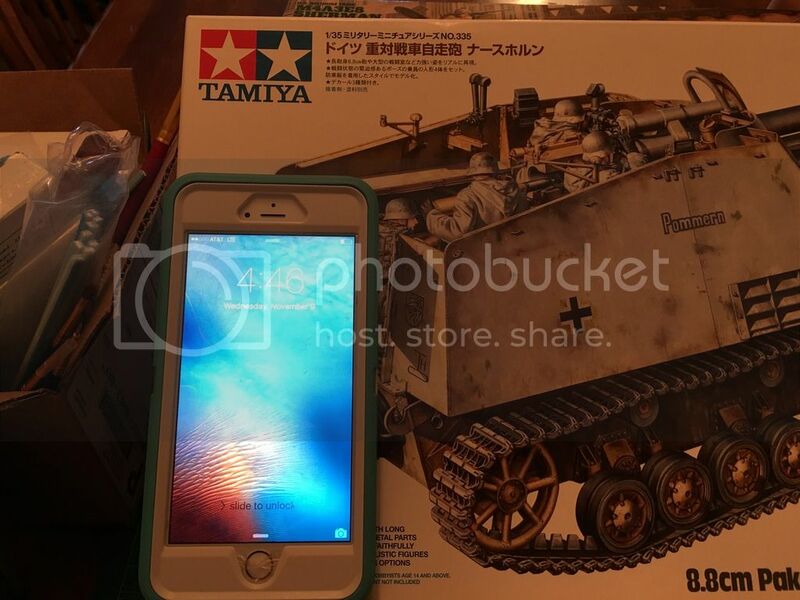 I'll be entering with Tamiya's Nashorn. 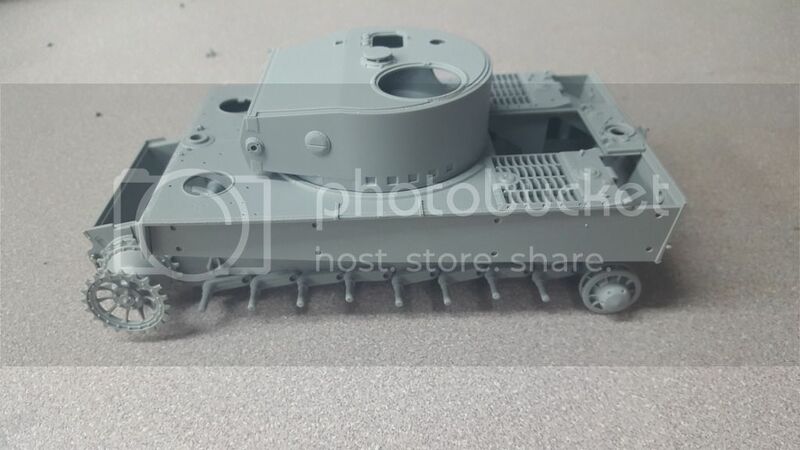 Interesting tank destroyer. 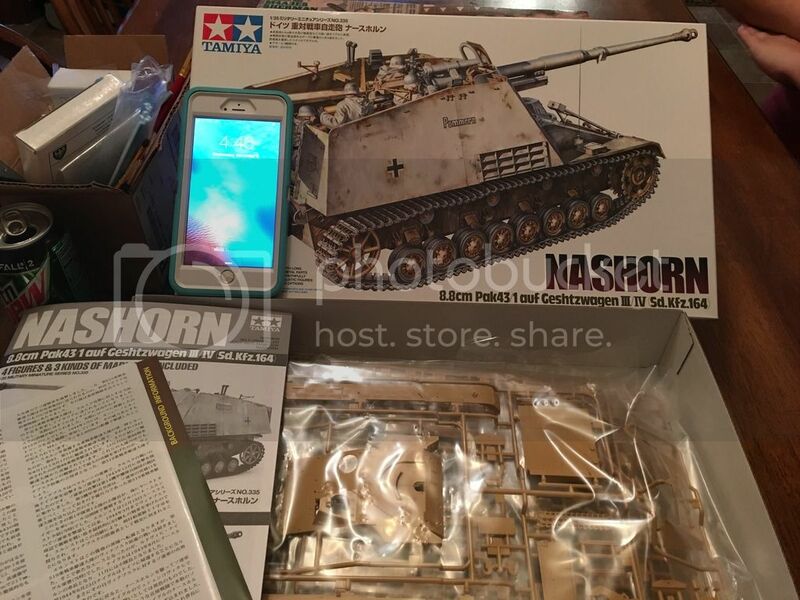 What's a Nashorn? 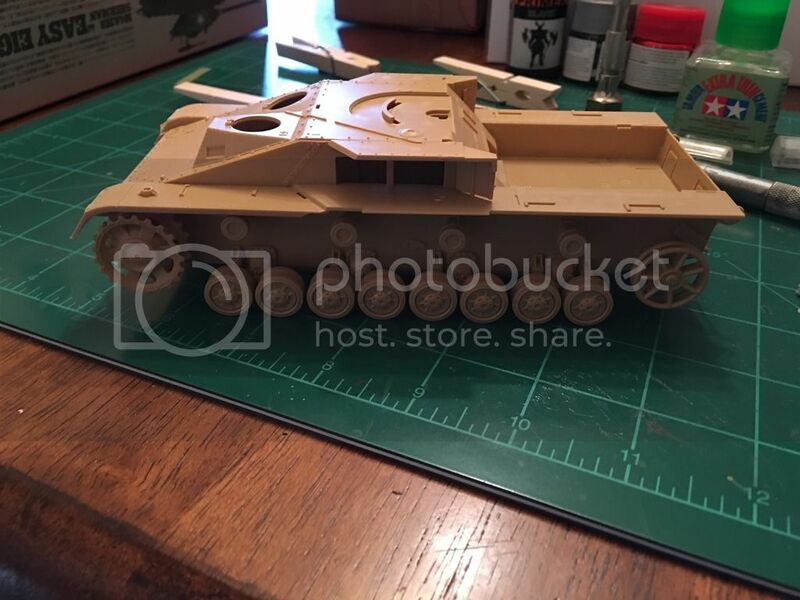 Made a bit of progress on my Nashorn. I have actually finished my F-111 but it didn't come out so well. When I can get to my PC I will post pictures. And here is the start picture for the F-111 Aardvark. I got this kit over 20 years ago when it was still timely. The first build picture. The underside has some inserts that don't fit quite right, or I screwed up the assembly order so I could get the nose weight in. 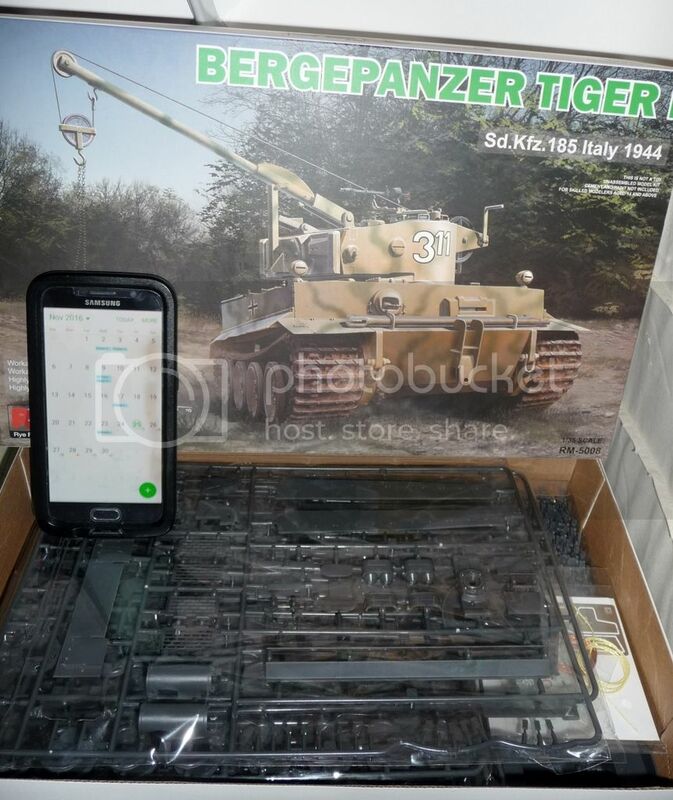 camouflaged and waiting for decals. I hand paint since there is no room for an airbrush set up anymore. So far I'm pleased with the kit's design, and everything is built out of box without any issues. I've enlisted in this campaign, and have plenty of options, but one I was wondering about (maybe get a group ruling) is the A-10... since it's technically the Thunderbolt II, but everyone calls it the "Warthog" would it qualify for this campaign? I have no problem with it. I have no problem with it either. Go for it. 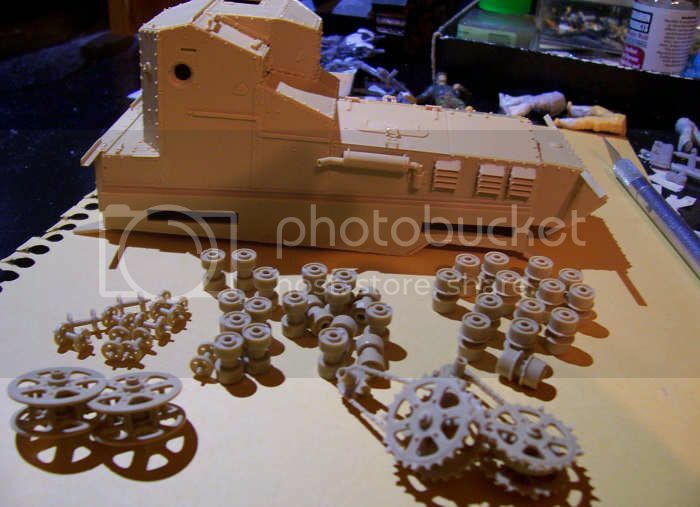 Update time on the Meng Whippet mk1...."cry havoc and let slip the dogs of war!" The kit looks nice. The all-important rivet detail is nice and crisp. There's actually a bit less to this kit than I had expected. Instructions look okay...there's some interesting bits of engineering for the upper hull. But we'll see how those work out in actual construction. The instructions include a nice little write-up on the Whippet...it's nice to see these in kits. We begin with the lower hull. 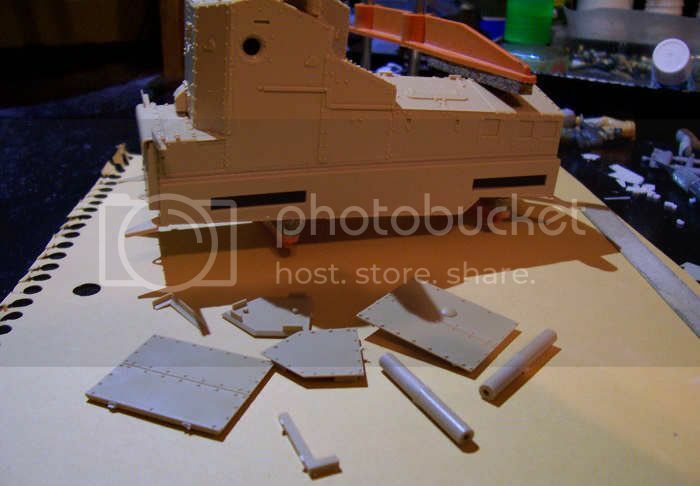 Meng has the hull underside open, with a seperate bottom piece to form the bottom. 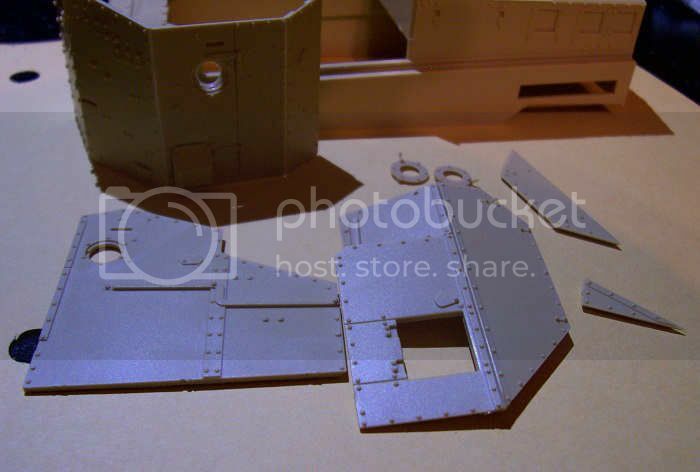 Most of the hull is assembled. The first addition are the rear plate parts. Rear parts added. The instructions then jump to the fighting compartment. 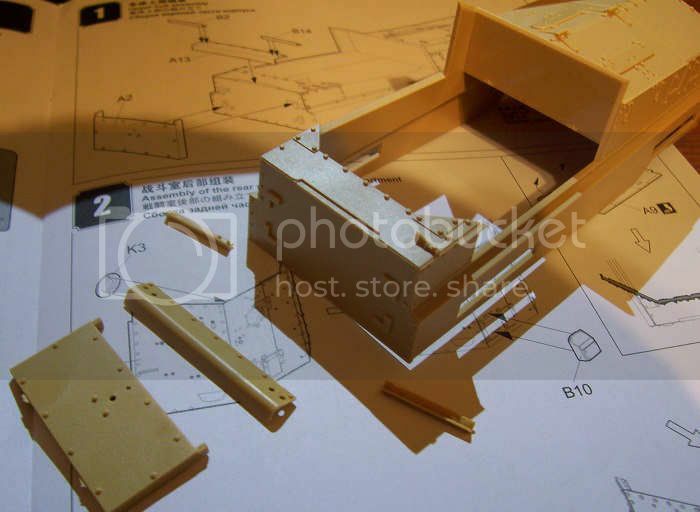 Meng has molded some of the parts flat and scored the inside. The builder is to end these parts. A scaled down illustration is given to give the builder an idea how much to bend them. I used the kit's adjacent parts to determine the angles to bend. For example, I used the roof plate as a jig for the rear plates assembly. 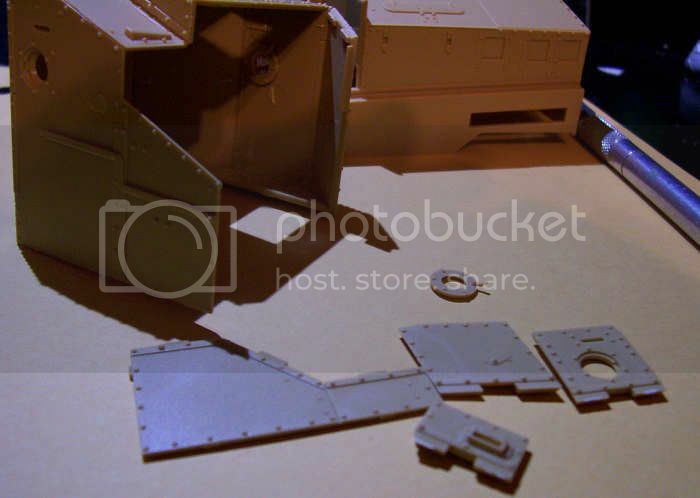 The fighting compartment instructions are a bit wacky and jumping around to get parts to test angles may make it wackier. Some of the interior sdes of the fighting compartment pieces have some detail to them. I'm wondering if Meng had planned on providing an interior. 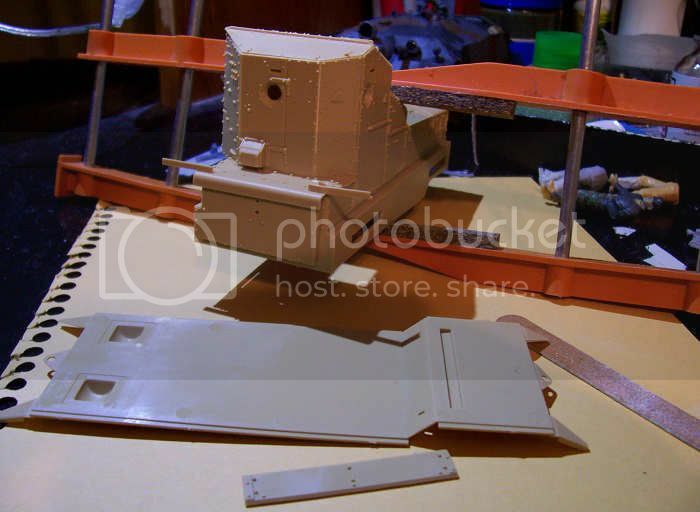 Anyway, here are the ste-by-step assembly pictures of the fighting compartment. 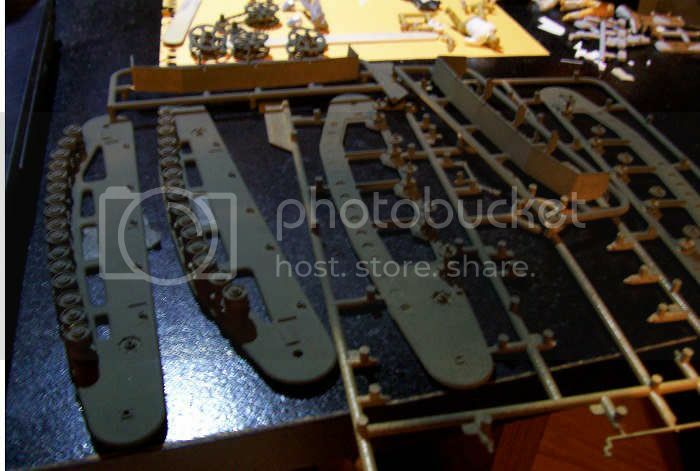 There are alot of pieces and care should be taken to keep parts organized. Angles are important and a small deviation will require work to get them all to fit. 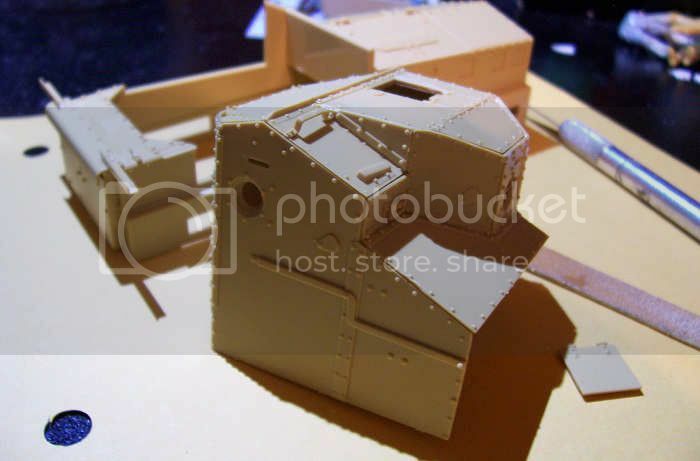 When finished, I used some creative clamping to get the fighting compartment to fit. I had to play with the fit to get everything to line up. I worked with one or two edges at a time to make sure everything was fitting as well as I could. Once that dries, I'll add the hull underside. Next up the parts for the front nose assembly. For the front, Meng includes two tubes to act as support inside the nose assemble. I think it would work without them but their addition was a nice touch that probably reduces verbal outbursts. Next up are the sspension components. There's a lot of them...they will need some cleanup... so I went ahead and assembled them. I placed the wheels to the mounts. I went ahead and gave the suspension assemblies a coat of dark green. I felt that it could be a bit tricky to try to get paint up there after assembly. Wheels and mud shoots added. One suspension unit was left open for the picture to give you a look inside. The suspesion halves went together pretty easy. I really expected to have a bit of a struggle with them. Once together, they were clamped and left to dry. Suspension together. 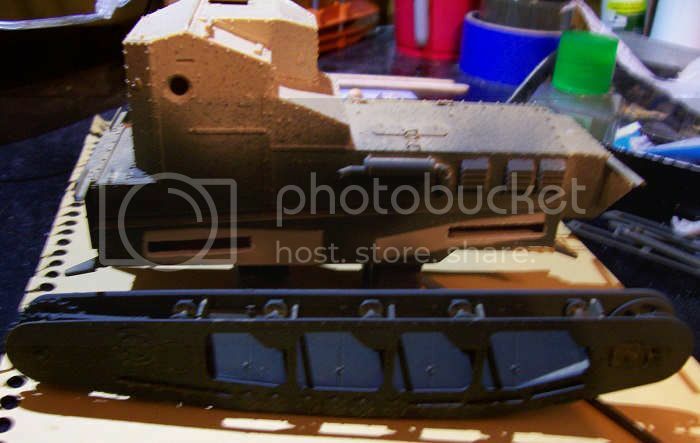 I also sprayed the underside and around the areas were the suspension mounts to the hull. I taped off the mount points. By the way, test fitting showed the openings are a tad small so I'll open them up a bit. The suspension assemblies are mounted but I am taking a brief break to decide if I want to add Celluclay or Sculptamold mud. So far, this is a nice little kit. Great start. Score and bend were a big feature in Eastern European kits of the 1990s. 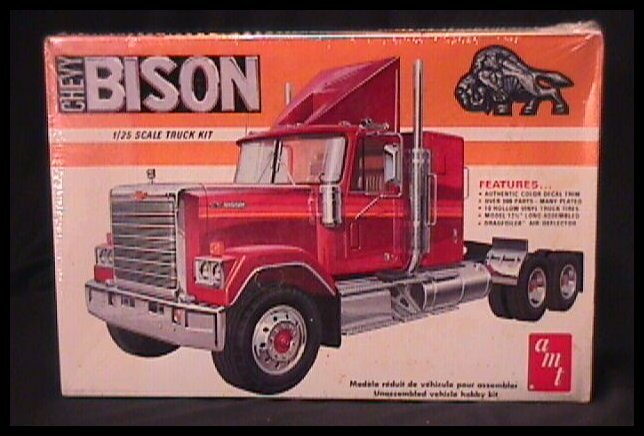 Some kits still feature them because for simple folds. 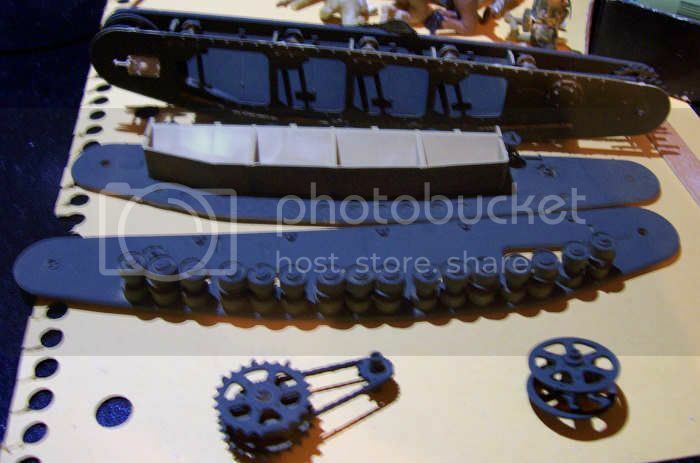 IMO you get better molded details making it flat and Diy folds than multiple part molds. Clayton & Bravo, Meng did a pretty nice job on the scored & bend parts. They actually score it for you and they bend clean and easy. The fit is pretty good. Both bended parts really could have been molded that way. 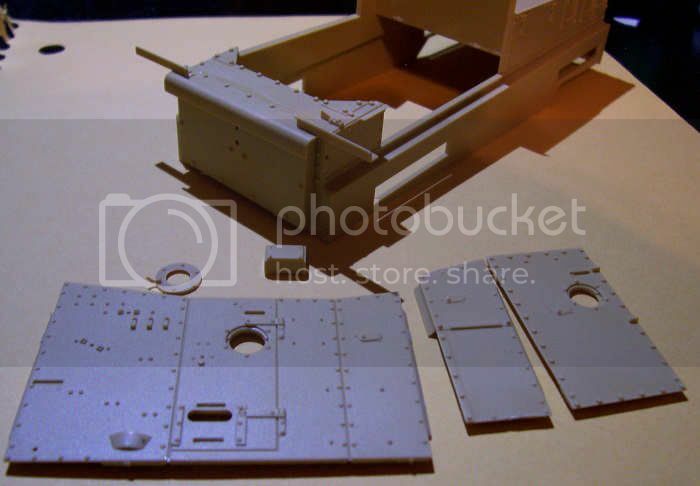 Some of the parts, including other parts for the fighting compartment, are molded as angled sections. It does look a bit cheap though, but it does work. 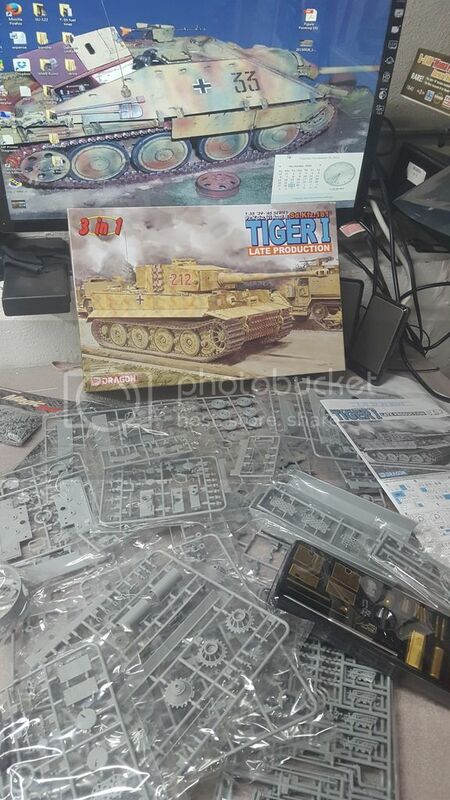 Some progress on Das Tiger while I wait for the AM parts to show.